What is the Weather like in New Zealand in April? Wanting to explore the incredible landscapes of New Zealand in April? Then you’ve picked a great time to do it. With mild weather, uncrowded destinations and plenty of things to do, travelling New Zealand in April will no doubt be a rewarding experience. Nevertheless, it’s always good to be prepared for the weather, so here’s a quick guide to the New Zealand weather in April. Unlike in the Northern Hemisphere, April is during mid-autumn in New Zealand. This means you’re likely to experience a mix of weather as the country goes from summer into winter. To learn more about the weather in New Zealand, check out our guide to the The New Zealand Seasons and Climate, as well as What is the Weather Like in New Zealand? 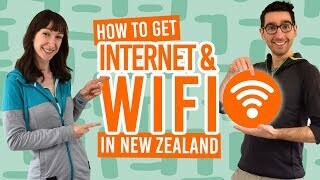 Here are some helpful tips to make travelling in New Zealand in April all the more easier. April is an unpredictable month to visit New Zealand in terms of the weather. Make sure your prepared with warm clothing, lighter clothing and wet weather gear. Wear high-factor sunscreen. Even in April, the UV rays are pretty intense in New Zealand so don’t get caught out! 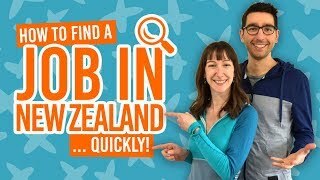 As April is a quieter tourist season in New Zealand, you don’t need to worry too much about booking your accommodation, transport or activities way too far in advance. It’s a good time to travel more spontaneously. On a similar note, be aware that New Zealand school holidays fall in April so some areas where parents take their children might be busy. While April is usually a great time to explore the less crowded hiking trails, make sure you read track reports on the Department of Conservation website before you set off, just in case some bad weather has damaged the tracks. For more tips, just check out these 10 Essential New Zealand Travel Tips. With mild temperatures, April is considered a favourable time to visit New Zealand outside of the busy tourist seasons. Nevertheless, you should still be prepared with some warm clothing for times when the temperatures can reach as low as -1°C on some nights in the South Island. Some sunny days can be as high as 21°C even in April. Because regions of New Zealand experience slightly different climates, here are some average temperatures for New Zealand in April. The autumn colours are at their best during April. April is also a popular month for hiking on uncrowded trails while the country experiences plenty of crisp sunny days. However, like any month of the year in New Zealand, be prepared for rain by packing a rainjacket and other waterproof hiking gear. As some regions have a wetter climate than others, here’s a list of the average rainfall in April throughout New Zealand. Here are some destinations to add to your New Zealand itinerary when travelling in April! Wanaka – the shores of Lake Wanaka are lined with trees rich in autumn colours during this time of the year. It’s the perfect photo opportunity! Gisborne – wine tasting, surfing and the Eastwoodhill Arboretum are all worth doing in Gisborne during April. See the array of autumn colours at Eastwoodhill, which holds the largest collection of Northern Hemisphere trees in the Southern Hemisphere. Marlborough – hire a bike and do a vineyard and winery crawl of New Zealand’s largest wine region. The region looks amazing at this time of year. Plus, nothing warms you up quite like a good glass of wine. Milford Sound – see one of New Zealand’s busiest tourist attractions during one of its quietest times. Rain or shine, Milford Sound always looks breathtaking. Taranaki – Hike inside the forests of the Egmont National Park, circumvent the volcanic cone of Mt Taranaki, and relax in the artsy city of New Plymouth. Taranaki is well worth getting off the beaten track for. For April events to add to your itinerary, check out our guide to New Zealand in April. Make sure you add these essentials to your packing list when visiting New Zealand in April! For more things to pack, see our 15 Essentials to Pack for New Zealand.